We own a lot of books, including many Bible resources for kids. 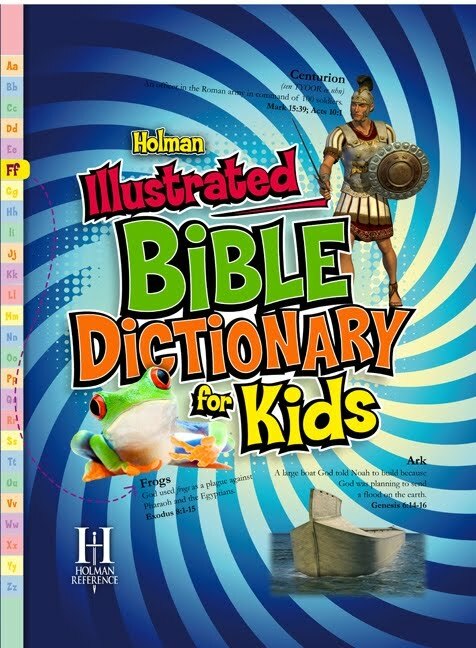 Some have been better than others but when I was given the opportunity to review the Holman Illustrated Bible Dictionary for Kids, I was taken completely by surprise. It is like the "super size" of Bible Dictionaries! Super color, super detail, super organization, super kid-friendly. This honestly is one of the most beautiful books I've ever seen (and we own thousands of books). You might wonder what is so exciting about a dictionary?! Honestly, the average, boring, black-and-white dictionary isn't too thrilling. But this book is so much more than that....like a portable Bible exhibit. The remarkable photographs, full color maps, and reconstructions of cities and buildings are amazing. The best part? This hardcover book (slightly larger than 8.5"x11") is priced at $14.99 and can be purchased at the LifeWay Christian Stores website or you can check for a store location near you. Whoever organized the layout of this book was a genius! Each alphabetical entry is set off with a full page of the letter so the end of one section is clearly separated from the next letter. Entries are in bold and slightly larger than the definition. We all know that not every story in the Bible is "G" rated. While my younger kids are exploring Biblical concepts, I'd prefer to put off heavier discussions until they are mature enough to understand. One of the things I appreciated about this reference was how extremely kid-friendly it was. For example, within the Ten Commandments, commandment #7 is listed as "Keep your marriage promises." What a perfect way to phrase it for a child without introducing the weightier topic of adultery. There isn't even an entry for the term adultery. The only reference I found was under the definition for Bathsheba, "Beautiful woman with whom David committed adultery." Nothing more explicit than that. This a reference that helps children navigate safely through Bible concepts, giving them a tool to explore what Bible times were like and have a place to find answers on their own. This is a great way to introduce the concept of using reference tools to help understand the Bible. For a glimpse inside this gorgeous book, go HERE. It shows a representative sample of every type of feature in the book. When you see it for yourself, I know you'll agree this book is an incredible resource at an unbelievable price. This would make a great gift for any family with children. But don't put it on a shelf--leave this beautiful book out where it will be used and enjoyed. Giving this book 5 out of 5 stars hardly seems fair because this book is really off the charts. We've been enjoying it in the car, in church and everywhere in between. And my youngest who is almost 4 is probably the most avid fan of this book (she looks at the pictures and just makes up her own narrative). 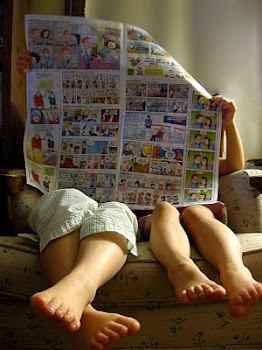 When she actually learns to read, she'll already be familiar with all the great photos and maps :o). Be sure and take some time to see what other families thought of this resource by visiting the TOS Homeschool Crew Blog. Disclaimer: LifeWay Christian Stores provided me with a free copy of the Holman Illustrated Bible Dictionary for Kids for the purpose of reviewing and blogging about my family's experience. No other compensation was received.